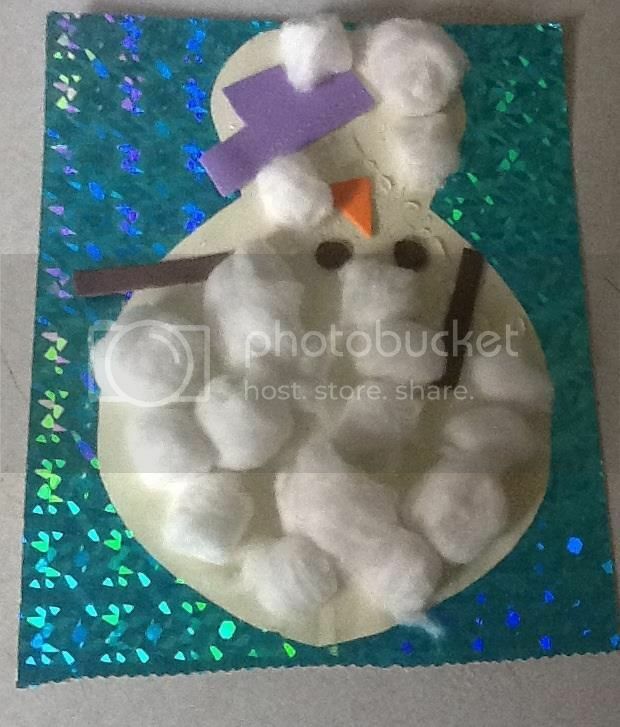 Trials & Tribulations Of A Brummie Mummy: Simple Snowman craft with a one year old. Simple Snowman craft with a one year old. I love doing simple crafts so do my kids, I am one of them moms that always manage to forget something! If its baking I forget the eggs, if its sticking its the glue! Lexie is getting to the age where she can follow simple instructions but hasn't got the attention span to do something that takes long. So here is a simple activity with items you most likely with have around the house. Cut out a snowman shape and paste with glue, I helped Lexie spread it around a bit. I cut out the hat, eyes, nose for her to stick on. She stuck all the wool and bits on herself. I'm going to try this with Morgan tomorrow! Thanks for the idea it's brill! !